Forgetfulness is sometimes simply part of our daily lives. We mark appointments on our calendars, write lists of items to buy at the grocery store or set alerts on our cell phones as reminders of things to remember. As you age, both your body and your brain go through changes, making forgetfulness even more common. However, many older individuals may start worrying that their memory loss is a sign of something more serious, like Alzheimer’s disease. Alzheimer’s disease is expected to affect more than 16 million Americans by the year 2050. As opposed to the normal memory loss that occurs as part of the aging process, memory loss associated with Alzheimer’s disease is severe enough to interfere with your daily life, hindering your ability to perform certain tasks and activities. Medication side effects: If you’re taking a variety of prescriptions and over-the-counter medications, like many older adults do, make sure you know the potential side effects, as some of them may cause problems with memory. Medical conditions: Certain health conditions such as blood clots, thyroid, kidney or liver disorders, head injury or chronic alcoholism can impact your memory. Emotional issues: Stress, anxiety or depression can make you more forgetful, and these emotional problems are often mistaken for Alzheimer’s disease. Physical issues: Lack of sleep, for example, can often lead to a foggy brain the next day. However, by making some slight adjustments to your lifestyle, like eating a healthy diet, getting regular exercise, reducing your stress levels and engaging your brain with regular mental activity, you can slow down some of the normal cognitive decline associated with aging. Alzheimer’s disease is the most common form of dementia, affecting one in five Americans. In the early stages, it can be difficult to diagnose as many of the signs resemble normal memory loss. If you’re worried you may be experiencing Alzheimer’s symptoms, it’s important to visit your doctor right away. The earlier you receive a diagnosis, the sooner treatment can begin which may slow the progression of the disease. Unlike normal memory loss which can simply be frustrating or annoying, Alzheimer’s disease is a disabling form of cognitive decline that ultimately disrupts your social life, relationships, career and hobbies. 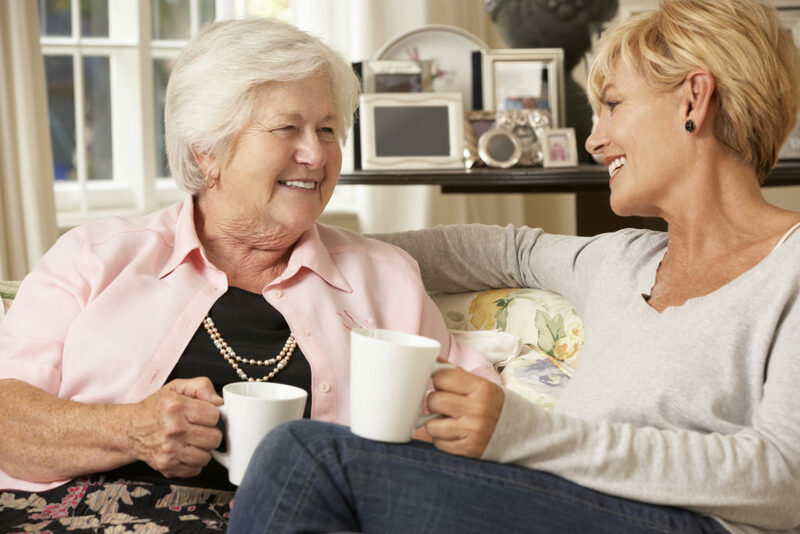 For those dealing with memory impairment due to Alzheimer’s disease and other dementias, The Lodge at Buffalo Hill offers 24 private residences with unique, person-centered memory care programming. Our staff is specially-trained as Dementia Care Practitioners to ensure all residents are safe, comfortable and living an inspired life. Learn more about the memory care neighborhood at Immanuel Lutheran Communities by contacting us today.